Available in 5 stock colours. Solar reflective Self Cleaning glass as standard. Total lantern u-value of 1.2 w/mk2. 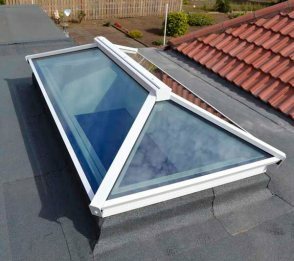 Ultra Slim-Line 40mm glazing bars for greater glass area. 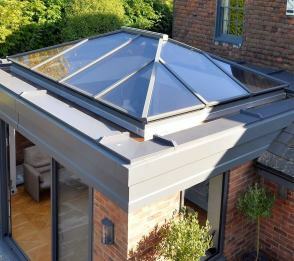 Fully thermally broken aluminium roof system. Other RAL Colour finishes available on request. Various stock sizes available for swift delivery. 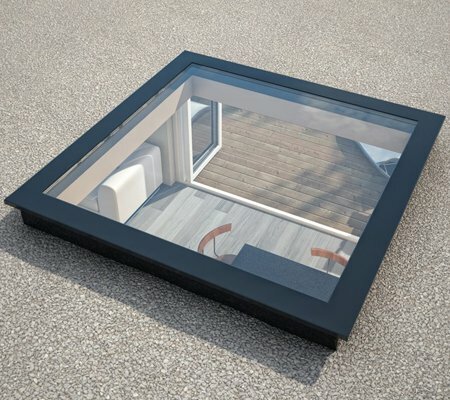 Flat Roof-lights appear completely frameless from an internal perspective. With unrivalled double glazing U Value of 1.0 w/m2k. 5 degree pre-fabricated kerbs available on request. Available in 3 stock colours.